We are listed amidst the most sought after Manufacturers, Exporters and Suppliers of excellent quality Nebulizer Mask. We have state of the art manufacturing unit that is well-equipped with the most recent machines and technology, thus, we are capable of providing the best in class Nebulizer Mask. 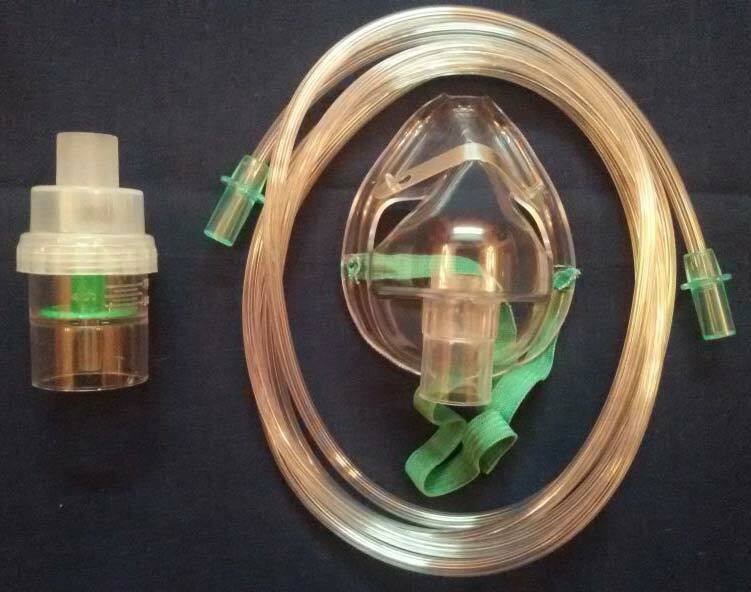 Our mask kit contains Jet Nebulizer, oxygen mask with nose clip, elastic band and 200 cm long tubing. Nebuliser Mask ensures patients to receive the right amount of medicine. Masks provided have been carefully crafted to suit the needs of the user. We have kept the comfort of the user in mind. Made from special transparent non toxic material. The connecting tube has internal serrations (STAR LUMEN). The mask has an adjustable elastic strap and nose clip for proper positioning of the mask. It comes with a with 2 meter long tube to ensure the uninterrupted flow of oxygen. Disposable and ready for use.